"Katy knows the world changed the night the Luxen came. War has come to Earth. And no matter the outcome, the future will never be the same for those left standing." Since we now have a cover and synopsis, I figure it is time I feature this one. I am sure this does not come as a surprise to anyone. I have been with this series from the beginning and cannot wait to see it come to a close! 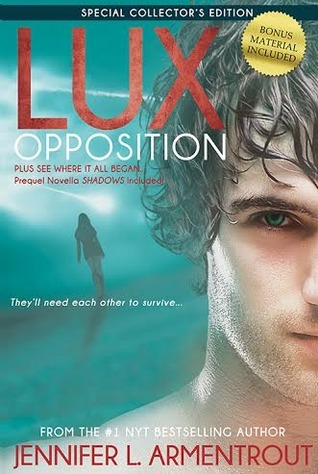 Opposition will be released on August 5, 2014. Yes, I also want this one :) Really, Really bad! Great pick! Cannot get used to the new look of the covers! And I'm so behind on this series. Thanks for sharing! ME too!! Hope you get to read it soon. and a BIG FAT YES for this WoW pick! Eeeeeeeeep! YES!!!! I am so scared/nervous/anxious/excited/thrilled/ready for this one!!!!!! LOL.